The world has moved on in the advanced economies where credit based financial systems coupled with malleable accounting systems disconnect capitalization and wealth accumulation from GDP trajectories and financial surplus. This, the book argues, is the product of economic, financial and cultural imperatives that privilege and encourage financial leverage for wealth accumulation. 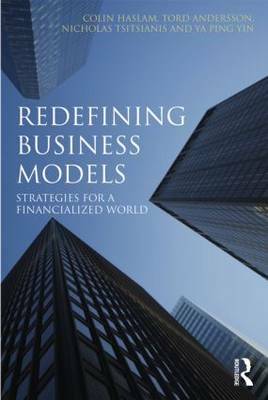 This text re-works business models for a financialized world and presents a distinctive insight into the way in which national, corporate and focal firm business models have adapted and evolved. It also shows how, in the current financial crisis, financial disturbances can be amplified, transmitted and made porous, by accounting systems, threatening economic stability. By making visible the tensions and contradictions embedded in this process of economic development, the authors have constructed a loose business model conceptual framework that is also grounded in accounting. This is a valuable resource for practitioners, academics and policy makers with an interest in management, accounting and economic policy.